Selena Gomez has debuted her new single online. The pop recording artist posted the “Good for You” audio clip to her Vevo channel on Sunday (June 22, 2015). “Good for You” – now available via iTunes – was helmed by Julia Michaels (Zedd, Kelly Clarkson), Justin Tranter (Fifth Harmony, Hailee Steinfeld), Nick Monson (Lady Gaga, Nick Jonas) and Nolan Lambroza (Pitbull, Rita Ora). The A$AP Rocky-assisted track marks the first promotional cut from Gomez’s upcoming album under Universal Music Group / Interscope Records. Other contributors backing Gomez on the still-untitled project are Hit-Boy (Beyonce, Frank Ocean), Ina Wroldsen (Labrinth, Britney Spears), Steve Mac (Sharkira, Jess Glynne) and Leah Haywood (Nicki Minaj, Bridgit Mendler). Listen to the “Good for You” audio clip below. 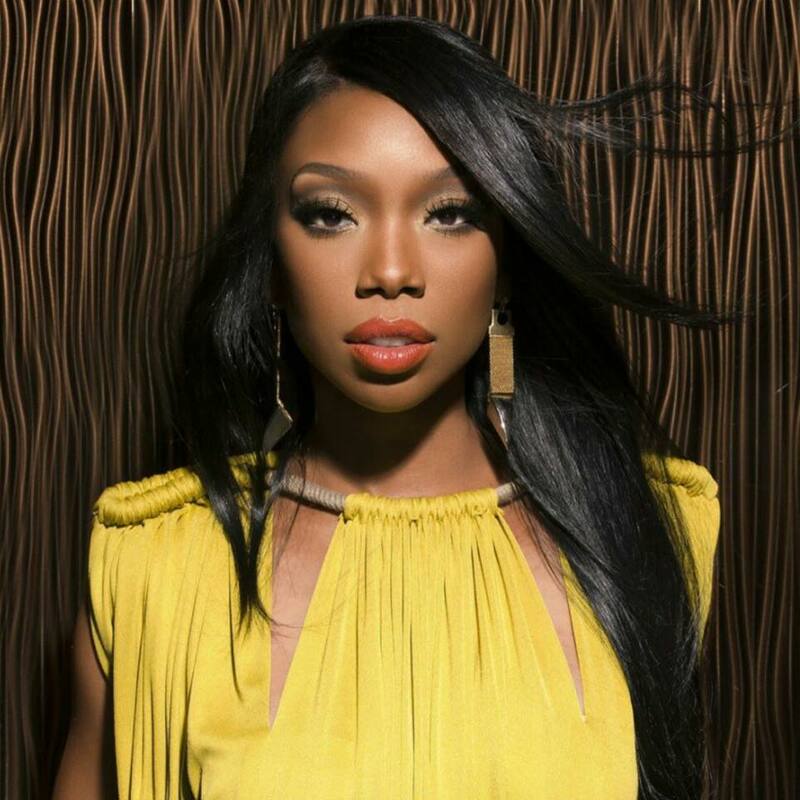 Brandy is plotting to release a five-song EP later this year. The still-untitled collection will be entirely produced by Darhyl “DJ” Camper, whose recent credits include Nicki Minaj’s “Favorite” f/ Jeremih [Republic Records] and Ne-Yo’s “Make It Easy” [Motown Records]. Camper’s resume includes further works for Mariah Carey [Epic Records], John Legend [Columbia Records], Tamar Braxton [Streamline Records], Elle Varner [RCA Records] and Mack Wilds [Larger Than Life Records]. For her seventh studio collection, Brandy has recruited MBK Entertainment CEO Jeff Robinson as the executive producer. He is also overseeing the next projects by Justine Skye, Gabi Wilson, Tiara Thomas, and Daisha. Other album contributors are Hit-Boy (Ciara, Selena Gomez), Diane Warren (Rita Ora, Kelly Rowland), Steve Mostyn (Usher, Jennifer Lopez), Kirby Lauryen (Beyonce, Ariana Grande) and Tiago Carvalho (Rihanna, Elijah Blake). Listen to the audio clip for “Wildest Dreams” below. Elle Varner has debuted a new song online. The singer and songwriter posted the audio clip for “The End of the Beginning” to her SoundCloud channel on Wednesday (May 13, 2015). 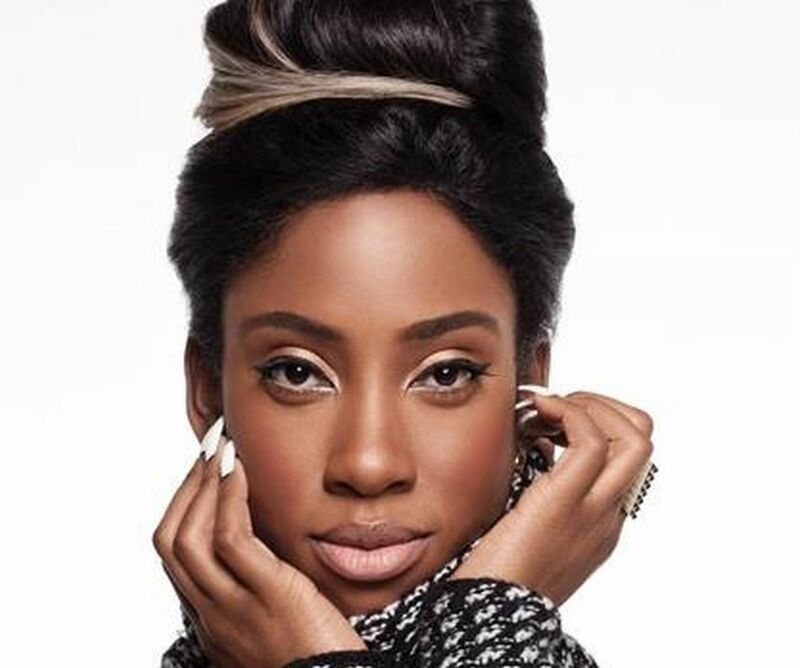 Other notable credits by Camper include Tamar Braxton’s “Love and War” [Epic Records], Keyshia Cole’s “Trust and Believe” [Interscope Records] and Nicki Minaj’s “Favorite” f/ Jeremih [Republic Records]. Meanwhile, Varner is expected to release her sophomore album “Four Letter Word” later this year under MBK Entertainment / RCA Records. The follow-up to 2012’s “Perfectly Imperfect” will be executive-produced by Jeff Robinson, whose also overseeing the careers of Justine Skye [Atlantic], Tiara Thomas [Interscope], Gabi Wilson [RCA] and Daisha [Epic]. On the production front, “Four Letter Word” boasts contributions from Boi-1da (Drake, Kelly Rowland), Hit-Boy (Brandy Frank Ocean), Benny Cassette (Miguel, Sevyn Streeter) and Shama “Sak Pase” Joseph (Rihanna, Alesha Dixon). Listen to the audio clip for “The End of the Beginning” below. Stacy Barthe has premiered the music video for her new single online. The singer/songwriter posted the visual clip for “War IV Love” to her Vevo channel on Tuesday (April 14, 2015). Production duties on “War IV Love” were handled by James “Malay” Ho, whose other credits include Frank Ocean’s “Lost” [Def Jam Recordings], Alicia Keys’ “One Thing” [RCA Records] and Goapele’s “Undertow” [Skyblaze Recordings]. The track is slotted for inclusion on Barthe’s debut album, “BEcoming,” which will hit stores and digital outlets later this year via John Legend’s label Homeschool Records in conjunction with Motown Records. 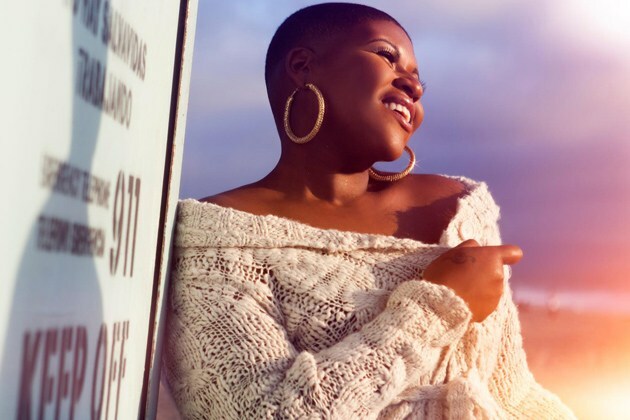 Other musicians backing Barthe on “BEcoming” are Pharrell Williams (Ciara, Kelly Rowland), Darhyl “DJ” Camper (Tamar Braxton, Chris Brown), Benny Cassette (Miguel, Sevyn Streeter) and Salaam Remi (Usher, Jordin Sparks). As a songwriter, Barthe has penned cuts for Miley Cyrus (“Adore You”), Rihanna (“Cheers”), Katy Perry (“Hummingbird Heartbeat”), Britney Spears (“Blur”), Alicia Keys (“When It’s All Over”) and K. Michelle (“Build a Man”). She also teamed up with record producers Jack Splash, Hit-Boy and Swagg R’Celious for the next projects by Brandy [MBK Entertainment] and Kandace Springs [Blue Note / Capitol Records]. Watch the music video for “War IV Love” below. Michaels previously co-wrote “Slow Down” and “Undercover” for Gomez along with Lindy Robbins and Niles Hollowell-Dhar (The Cataracs). Her other songwriting credits include Demi Lovato’s “Fire Starter” [Hollywood Records], Fifth Harmony’s “Miss Movin’ On” [Syco Music], Nicole Scherzinger’s “Run” [Epic Records] and Kelly Clarkson’s “War Paint” [RCA Records]. Meanwhile, Hit-Boy – real name Chauncey Hollis – is known for producing Kelly Rowland’s “Lay it On Me” f/ Big Sean [Republic Records], Rihanna’s “Watch ‘N Learn” [SRP Records] and Mariah Carey’s “Thirsty” [Def Jam Recordings]. He also contributed to the next projects by Sevyn Streeter [Atlantic Records], Brandy [MBK Entertainment], Elle Varner [RCA Records], Stacy Barthe [Motown Records] and Frank Ocean [Def Jam Recordings]. As mentioned in earlier posts, Gomez will release her next studio collection later this year under Universal Music Group / Interscope Records. The still-untitled project reportedly features further collaborations with Zedd, Sia, Rock Mafia (Antonina Armato & Tim James), Ina Wroldsen, Steve Mac, Justin Tranter, and Jack Patterson of Clean Bandit. Watch the music video for “I Want You to Know” below. Brandy has teamed with Darhyl “DJ” Camper on new material. “Studio with @theycallmecamper” the R&B singer/songwriter posted to her official Instagram account on Friday (March 07, 2015). Camper is known for co-writing and producing Elle Varner’s “Refill” [MBK / RCA Records], Tamar Braxton’s “Love and War” [Epic Records] and Stacy Barthe’s “Flawed Beautiful Creatures” [Homeschool / Motown Records]. His resume also includes works for Mariah Carey [Epic Records], John Legend [Columbia Records], Mack Wilds [Larger Than Life Records], Big Sean [Def Jam Recordings] and Nicki Minaj [Cash Money / Republic Records]. Meanwhile, Brandy is expected to release her seventh studio collection and follow-up to 2012’s “Two Eleven” later this year. 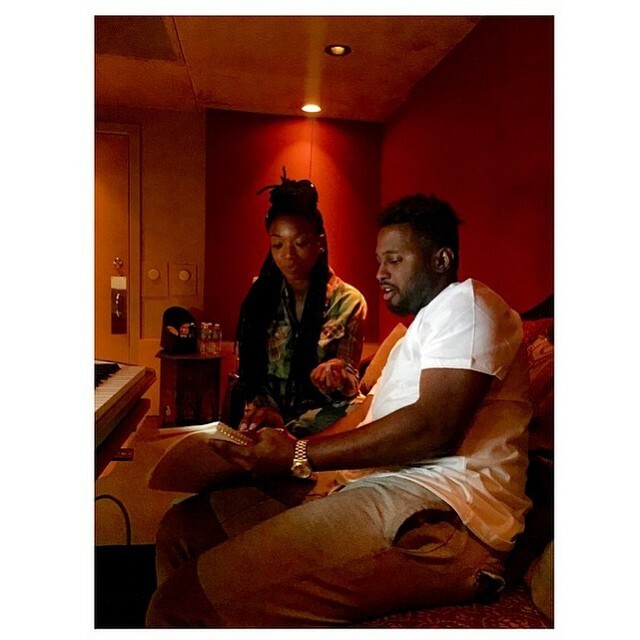 The still-untitled project will be executive-produced by MBK Entertainment CEO Jeff Robinson, who is also overseeing the next releases by Gabi Wilson [RCA Records], Justine Skye [Atlantic Records] and Daisha [Epic Records]. Other album contributors are Steve Mostyn (Usher, Kelly Clarkson), Kirby Lauryen (Kanye West, Ariana Grande), Hit-Boy (Ciara, Sevyn Streeter), Diane Warren (Kelly Rowland, Rita Ora) and Tiago Carvalho (Rihanna, Elijah Blake).